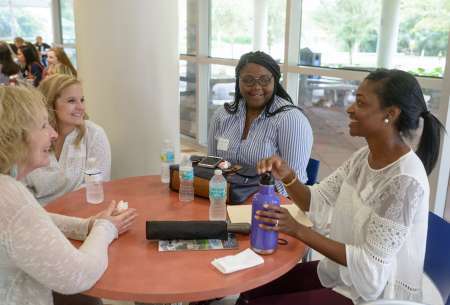 UF grad and former special needs teacher Ke’Andra Clayton is back on campus as part of the inaugural class in the new doctor of occupational therapy program. 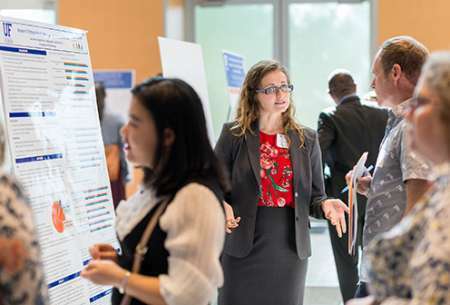 More than 100 students and postdocs presented research at the 32nd Annual PHHP Research Day. 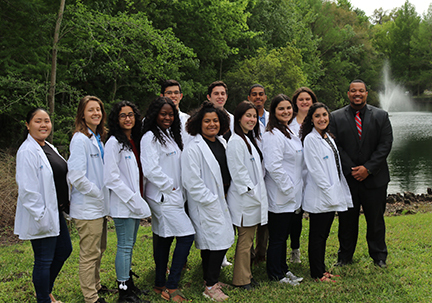 STOMP Research Lab recruits and trains students from historically underrepresented and/or disadvantaged backgrounds to go on to research careers in public health and medicine. In January, Jerne Shapiro, MPH (above left), joined the department as a lecturer. A University of Florida alumna, Ms. Shapiro has a wealth of teaching experience, ranging from Public Health Concepts to Epidemiology of Infectious Diseases. She also brings a community-based perspective, having previously worked on priority health needs for the county and state health departments. 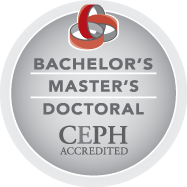 In February, Catalina Lopez-Quintero, MD, PhD, was hired as an assistant professor. Dr. Lopez-Quintero’s early professional success is reflected in her receipt of a National Institute on Drug Abuse K01 award. Her research focuses on sociocultural and neurocognitive influences on drug use disparities among Hispanic individuals. Drs. Meryl Alappattu, Jason Beneciuk, Kim Dunleavy and Emily Fox will be recognized at the APTA Next Conference and Exposition in Chicago in June. Read the April issue for news and updates from the college’s departments and programs. Two graduating MPH students, Pamela Sanchez and Omari Richins, have been selected for prestigious post-graduate positions.